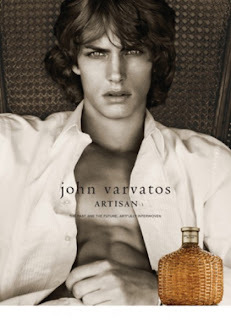 This month, John Varvatos will launch his third fragrance for men, John Varvatos Artisan. Following his immensely successful Classic and Vintage fragrances, I am going to bet that Artisan will be an equally successful scent. JV has a way of taking something that has been done before and seriously reworking it into something fresh and original. I LOVE it. In his earlier fragrances, JV played with masculine aromas like leather and tobacco and reintroduced them into very unexpected, fresh and appealing fragrances. With Artisan, the new theme is a classic citrus splash, but reinvented, this time using orange as the main note instead of lemon or lime. It’s absolutely wonderful — fresh and orangey with some masculine florals and a smooth base. A very original take on a citrus theme. The fragrance has a bit of a surprise opening with lots of orange notes — Sicilian clementines, tangelos and Mexican winter mandarin oranges — all mellowed out with accents of thyme and marjoram. At it’s heart are notes of orange tree blossoms, orange jasmine, Indian murraya and ginger extracts. The basenotes or dry down, in my opinion, is where all the magic happens. All of the citrus notes are balanced out and blended with an ultramodern abstract woody base that is so smooth and unlike many of the colognes that are on the market today. it will be in heavy rotation especially as the warmer months approach. Everything about his fragrance has a relaxed and casually elegant vibe including the bottle that holds it. 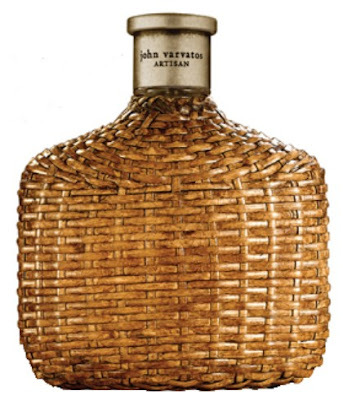 The bottle looks like a hand-woven rattan flask, perhaps like a little treasure brought back from and exotic vacation — beautiful. Eau de Toilette is available in 125ml bottle ($75) and a wider launch in April will offer an EDT 75ml ($55) and Deodorant stick ($22).